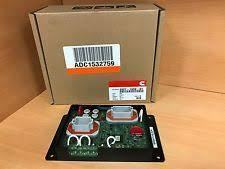 We have carved a niche amongst the most trusted names in this business, engaged in trading, exporting and retailing a comprehensive range of Engine Control Unit. These products have sturdy designs. 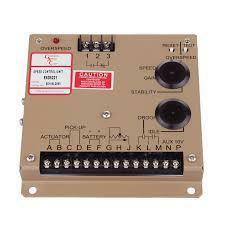 We are engaged in offering a wide array of EMS 926 Generator Spares. 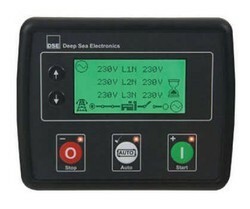 It monitors various parameters such as external power supply, the battery voltage, DG run hours and fuel level. In the normal condition, it generates highly elaborative and explanatory reports in the form of Graphs and comparative data sheet. These web-based reports are easily accessible, anywhere, anytime. You will instantly receive reports over the Internet via a secure web page. Our company has achieved widespread recognition in offering EMS 927 Kirloskar Electrical Alternator Equipment to the clients. Offered product is widely appreciated by our prestigious clients for its precise design and durability. This product is manufactured by the team of our adept professionals utilizing quality approved raw material and advanced technology. 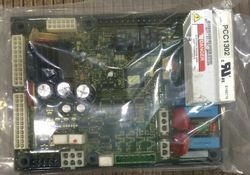 we are dealing speed controller ,display panel with all other saftys, switches , sendor etc..
We are engaged in offering a wide array of PCC3300 Generator Spares. 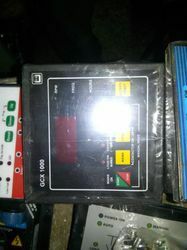 It monitors various parameters such as external power supply, the battery voltage, DG run hours and fuel level. In the normal condition, it generates highly elaborative and explanatory reports in the form of Graphs and comparative data sheet. These web-based reports are easily accessible, anywhere, anytime. You will instantly receive reports over the Internet via a secure web page. 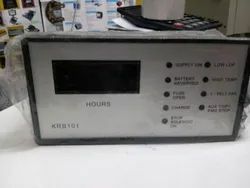 We are one of the trusted names to offer Kirloskar Parts EMS KG934V1 (Electronic Monitor Systems) for our valued clients. 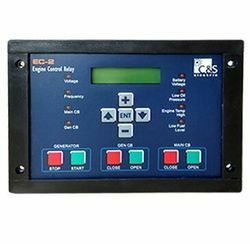 It is designed specifically for emergency power generators to monitor engine operations and detect pre-alarms or failures. 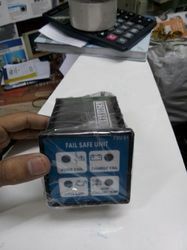 This ensures you of increased generator availability and a rapid response to service problems. 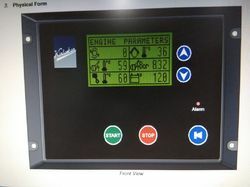 This helps to monitor the power generators placed at the remote areas and increases its Efficiency by monitoring the various parameters of the generator, Reporting critical Problems minimizes downtime and maximizes availability by sending generator failure messages instantly to you for diagnosis and emergency service dispatch if required. 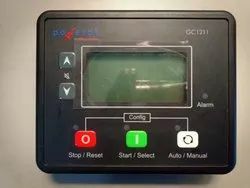 Our company has achieved widespread recognition in offering HMI211 Cummins Controller to the clients. Offered product is widely appreciated by our prestigious clients for its precise design and durability. 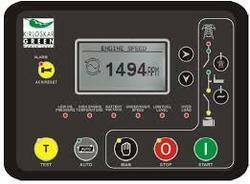 Description The PowerStart control is a microprocessor-based generator set monitoring and control system. 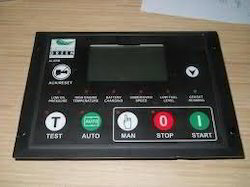 The control provides a simple operator interface to the generator set, manual and remote start/stop control and shutdown fault indication. The integration of all control functions into a single control provides enhanced reliability and performance compared to conventional generator set control systems. 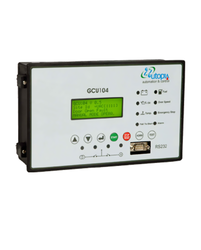 This control has been designed and tested to meet the harsh environment in which gensets are typically applied. 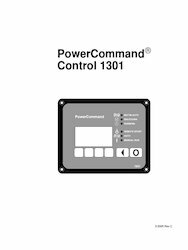 The PowerStart generator set control is suitable for use on a wide range of generator sets in non-paralleling applications. 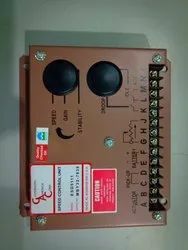 It is suitable for use with reconnectable or non-reconnectable generators, can be configured for either 50 Hz or 60 Hz and voltage and power connection from 190-600 VAC line-to-line. 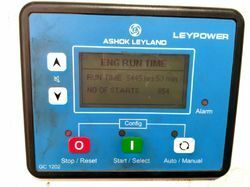 This control includes an intuitive operator interface that allows for complete genset control as well as system metering, fault annunciation, configuration and diagnostics. 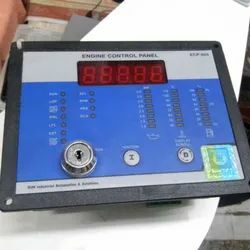 The interface includes seven generator set status LED lamps with both internationally accepted symbols and English text to comply with customer needs. 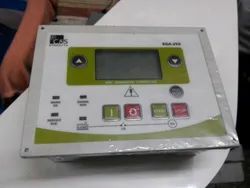 The interface also includes an LED backlit LCD display with tactile-feel soft-switches for easy operation and screen navigation. 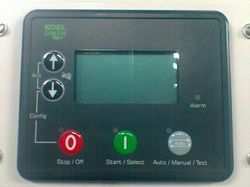 The manual/auto/stop switch function is integrated into the interface panel. 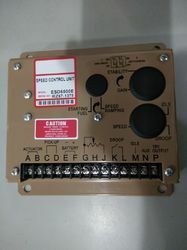 All data on the control can be viewed by scrolling through screens with the navigation keys. The control displays the current active fault and a time-ordered history of the five previous faults. 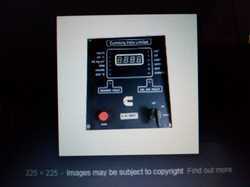 Power for this control is derived from the generator set starting batteries and functions over a voltage range from 8 VDC to 16 VDC. 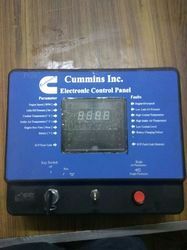 Features LCD display - 16 character x 2 line alphanumeric LED backlight LCD. 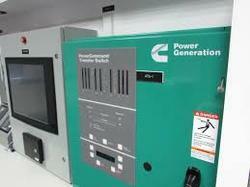 Generator set monitoring and protection. 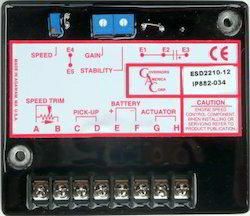 12 VDC battery operation. 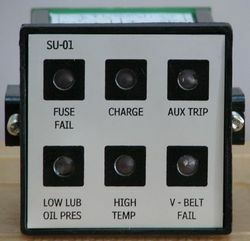 Engine Starting - Includes solid state output to operate external relays start the engine, fuel shut off (FSO), and glow plugs. 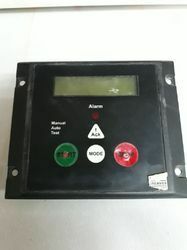 Start disconnect is achieved by monitoring main alternator frequency. 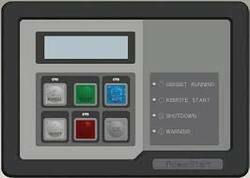 Remote Start Capability – Interface to transfer switch Environmental protection – The control is designed for reliable operations in harsh environments. Warranty and service - Backed by a comprehensive warranty and worldwide distributor service network.